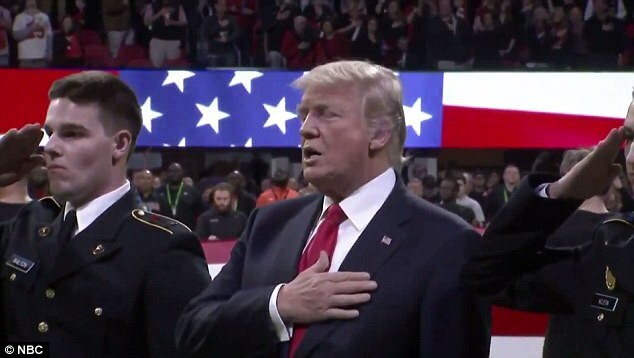 Donald Trump was mocked on Twitter on Monday night after he appeared to stumble his way through the National Anthem during his appearance at the College Football Playoff National Championship Game between Alabama and Georgia. 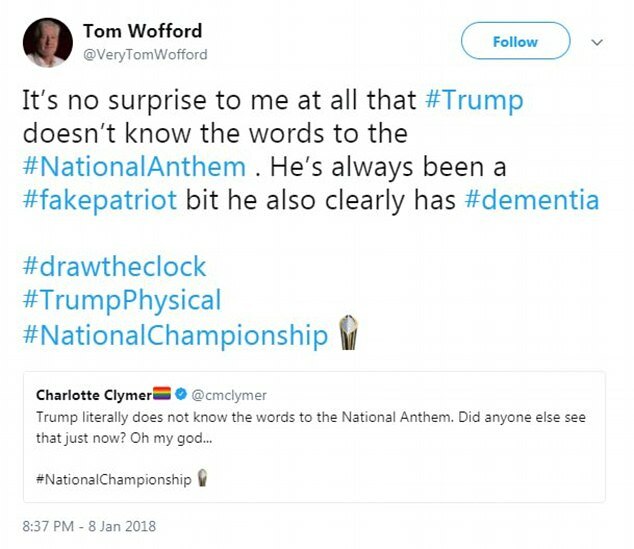 Twitter also debated whether Trump's fumble might be a sign of forgetfulness - and in turn, another sign that the 71-year-old might be developing dementia. The public debate about Trump's mental health has intensified in the face of author Michael Wolff's assertion that the President is increasingly forgetful. The Anthem was performed by the Zac Brown Band at Monday night's game. 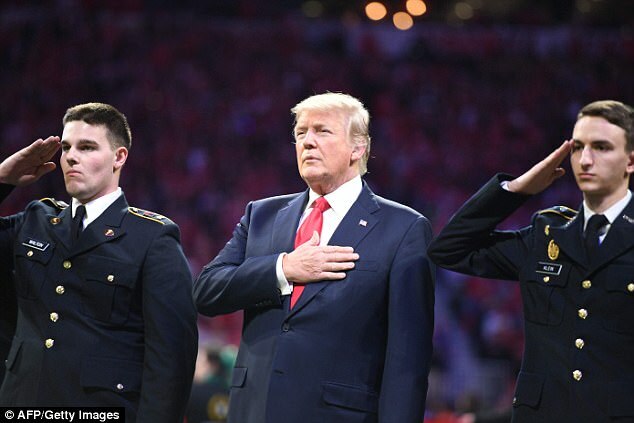 Trump placed his right hand over his heart and he was flanked by military members who saluted. He appeared to be fine at the start, clearly mouthing along to 'say can you see, by the dawn's early light...proudly we hailed'. But then his mouth appeared to go awry. 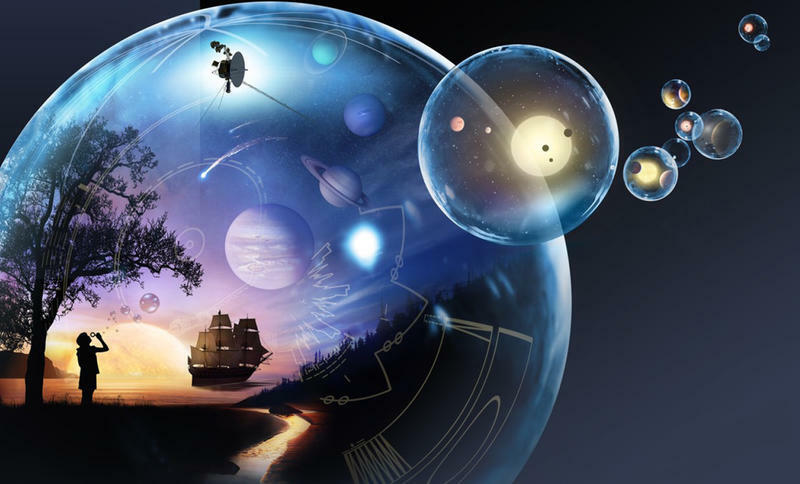 He uttered something at 'gleaming' and appears to correctly mouth 'stripes and bright stars'. Otherwise, he either kept his mouth shut or appears to utter gibberish. President 45 also appeared to give a quick side eye to the camera trained directly on him and at another point pats his chest while remaining silent. The former businessman got back on track with 'red glare, The bombs bursting in air'. He then sang along to 'gave proof through the night' before appearing to veer off again. On 'wave,' when the Anthem crescendos before its last line and people generally start clapping, Trump gives an awkward smile. He then states: 'For the land of the free, and the home of the brave' - but appears to preemptively say 'brave'. 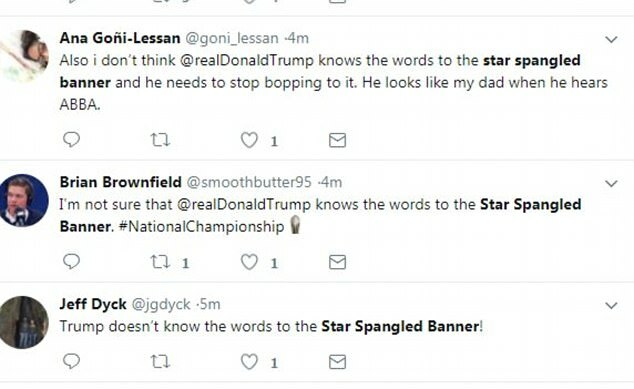 Twitter was quick to take Trump - who has been a vocal critic of football players who do not stand for the National Anthem - to task for appearing to mumble his way through it. 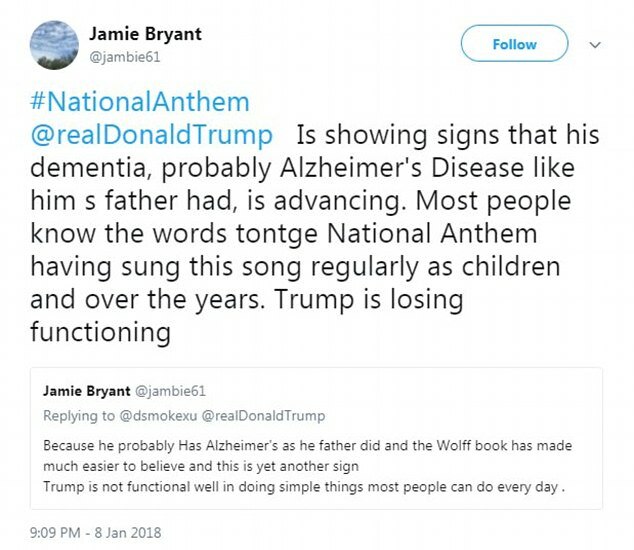 But tweeters also wondered whether Trump's botched Anthem singalong was more a sign of forgetfulness and early dementia. The White House slapped down speculation that the president is 'unfit' for office last week after anecdotes in Wolff's bombshell book about the first year of Donald Trump's presidency raised new questions about the 71-year-old's mental competency. The essay is based on his recently released explosive book, Fire and Fury, and includes other material. Trump's father, Fred, developed Alzheimer's in his 80s. 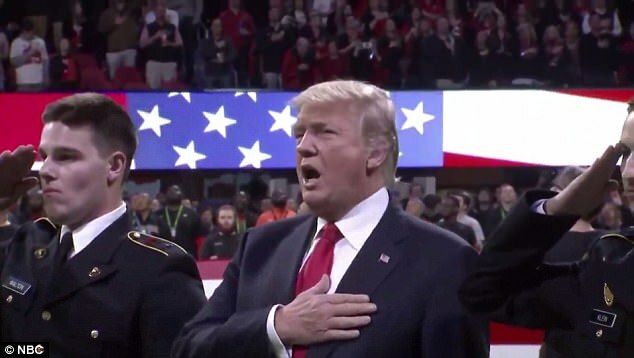 The fumbled Anthem came as Trump was jeered and booed by several protest groups that packed into an already crowded Atlanta, where the game is being held. The Atlanta branch of the NAACP urged people to wear white to the game and to bring white towels to wave when the president enters the stadium. The white is meant to mock the 'snowflake' insult that Trump supporters have made against those who oppose the president. 'We're going to make a snowflake turn into a mighty blizzard inside of Mercedes-Benz stadium when Mr. Trump comes,' Gerald Griggs, a vice president of the Atlanta NAACP, said at a news conference Monday. The organization also planned a 'Twitter storm' beginning at 6pm and continuing through to the end of the game. The plan is to use the hashtag #AllTrumpsLies to highlight what they say are lies told by the president. Another group, Refuse Fascism ATL, also demonstrated outside CNN's world headquarters near Mercedes-Benz Stadium, where the game was set to kick off at 8pm. The group planned to 'take a knee' there at 6.30pm. Atlanta police stated earlier that they set up several designated areas for protesters and won't interfere with demonstrations unless protesters break the law. Local, state and federal law enforcement authorities said last week that they've worked for months to develop security plans. 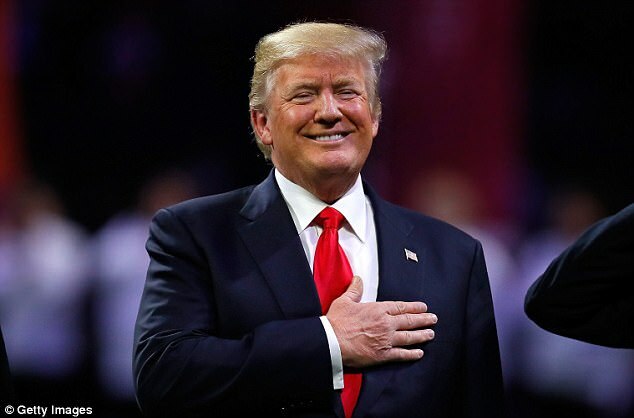 Earlier on Monday, Trump urged respect for the American flag and the national anthem at a farmers' convention on Monday. Trump was there to deliver a partisan message about tax cuts and regulation-slashing to America's largest agriculture group. However, he began talking about the 'great American flag' midway through. 'We are fighting for our flag. We want our flag respected. We want our flag respected,' he said twice. 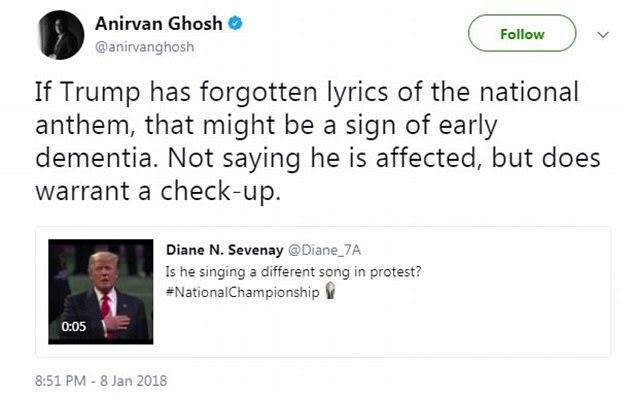 'And we want our national anthem respected, also,' Trump added to whoops. Kendrick Lamar, the game's half-time performer, could also take the opportunity to rip the president after saying in October that Trump's election was a 'mindf***' and it is 'building the fire' for him. A track Lamar released earlier this year, 'The Heart Part 4,' hits Trump as a 'chump' and claims that Russia is 'up to something'. Trump said Monday afternoon in Tennessee that there's 'plenty of space for people to express their views and to protest. 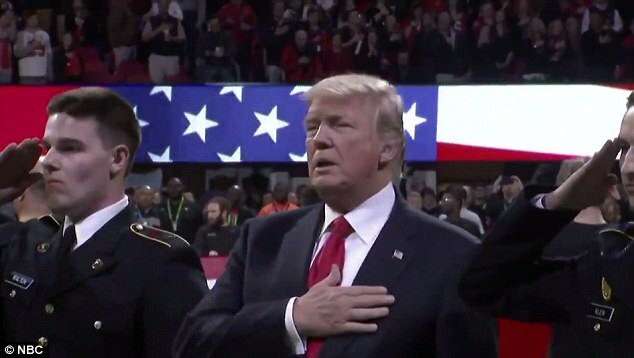 'But love our flag, we love our anthem, and we want to keep it that way,' the president stated. 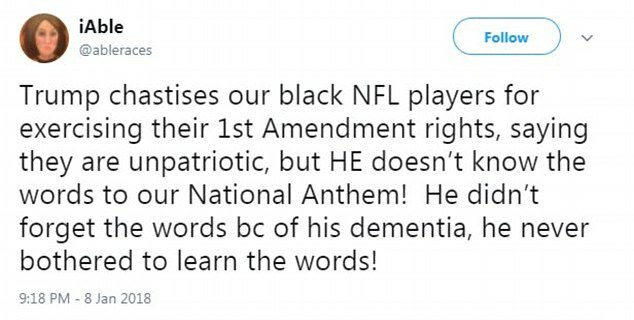 At a rally in Alabama last year, Trump issued a sharply worded warning to players who do not stand for the National Anthem. 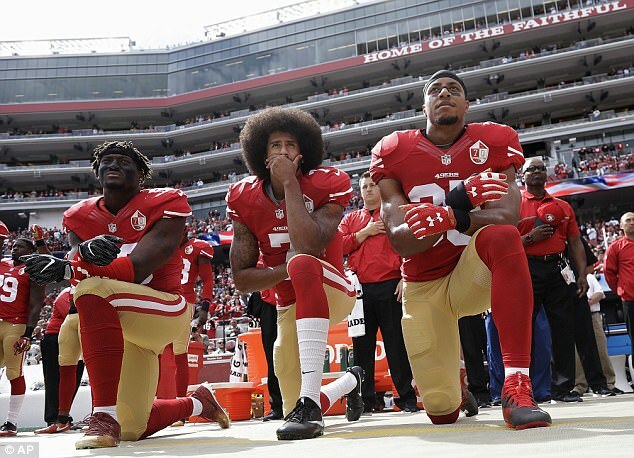 The move was inaugurated by ex-49ers Colin Kaepernick during the 2016-2017 season as a means to protest police violence against African Americans. 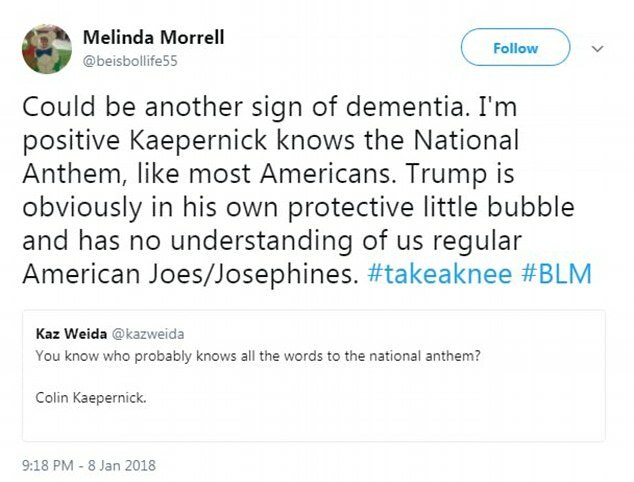 'Wouldn't you love to see one of these NFL owners, when somebody disrespects our flag, to say, "Get that son of a b***h off the field right now! He is fired. He's fired!"' 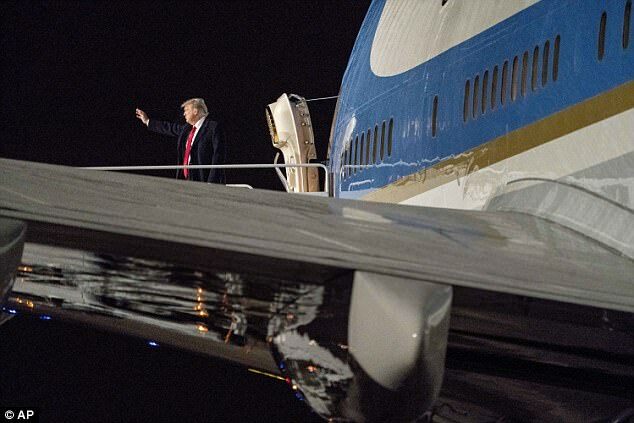 Trump boomed at the rally held in September 2017. 12 diet cokes a day with the breakdown products of wood alcohol and formaldehyde,no wonder the Man is slurring his words.